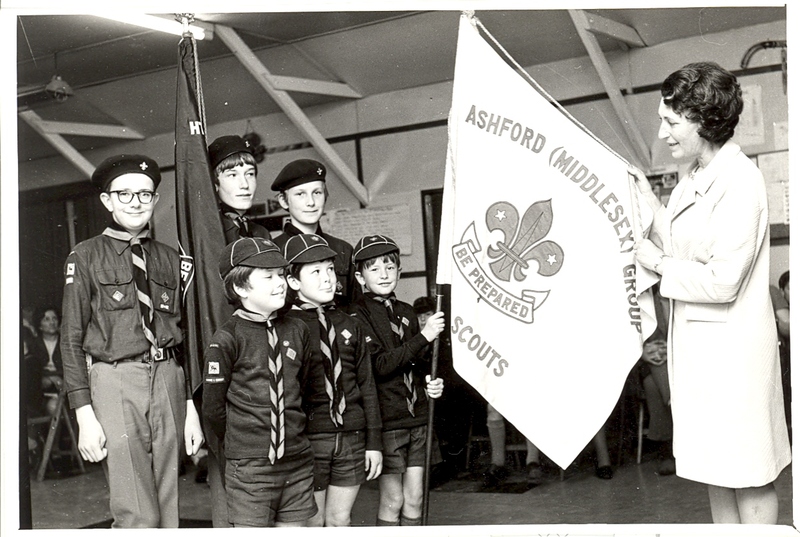 Please view 8th Ashford Scout Group in the early days. We hope you enjoy the gallery. If you were a member of 8th Ashford in previous years and have any photos you would like to share with the group please email them to us it would be great to re-introduce yourself to the group. We hope you enjoy reading about the groups history. 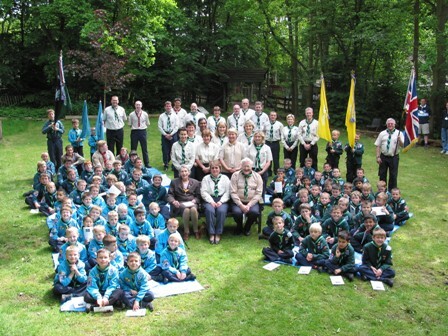 Pam Gadd died on New Year's Day 2008 having seen the Scouting Centenery Year of 2007 draw to a close. She was born on 1st April 1916 on the Isle of Wight, her father was serving in WWI in Mesopotamia (now Baghdad) and didn't see Pam until after her 1st birthday, on his return from war. When Pam was 7 they moved to Feltham as her father went to work at Feltham Borstal, now the Young Offenders Centre. Pam was married in 1938 to Dennis and they were married for over sixty years. Dennis served away during WWII and Pam served as an air-raid warden. 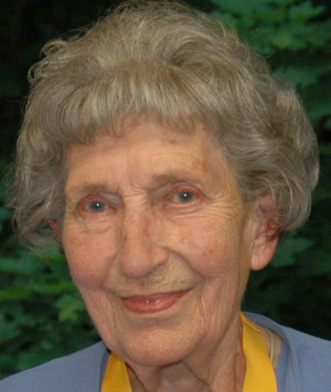 Pam was a loyal and active member of St Hilda's Church and was active as a teacher in Junior Church for some years. Towards the end of the war Pam realised how little there was to occupy young boys especially those whose fathers had been killed or injured during the war. 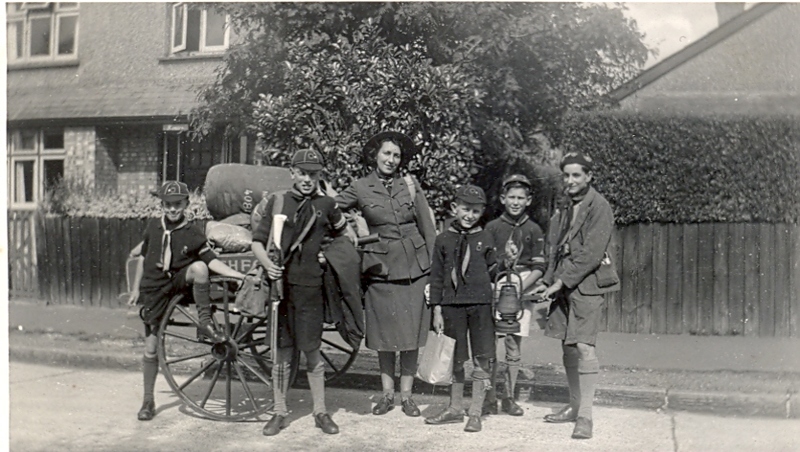 She much admired the philosophy of Lord Baden- Powell and his boy scout movement and decided to start a Scout Troop - the 8th Ashford. With rationing still in place and material for the boys' scarves scarce, Pam found a ready supply came from the blackout curtains and the green all clear flags, a design still used today. Pam became a teacher and after some time in Sheen, taught at Staines Prep School from 1953 until her retirement in 1975. After her retirement she took up a place as a votunteer in Adult Education at the Oast House in Staines where she remained for thirty years until she was nearly ninety years old. Pam's service to the community was recognised by a Community Service Award from Spelthorne Borough Council in 1983. Mrs Pam Gadd was a great citizen of Spelthorne, and we could all learn about the worth of civic duty from her long and friutful life.